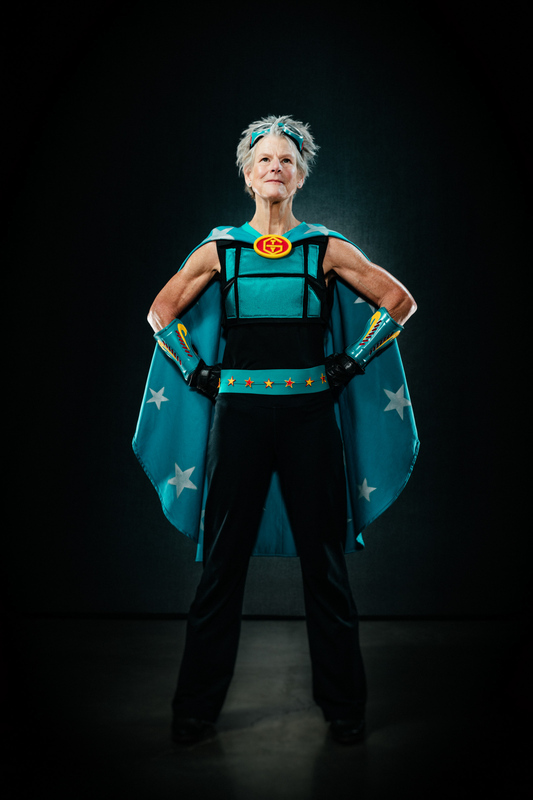 Cancer survivors are heroes, and these super heroes have survived Ovarian cancer. The Ovarian Cancer Awareness campaign asked professional photographer Andy Batt to create heroic portraits of these authentic women. It was a dramatic shoot and we heard their real stories. These warriors have battled the true devil, and they live to tell the tale. This image features Peg Gauthier, and was shot at Andy's studio in Portland, Oregon.